Handel on Crosscurrents, 2/23 – Doggedly Yours… Howling, Humor, and History. 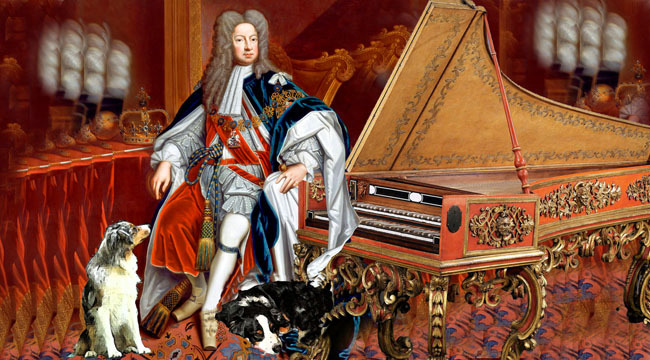 Becoming famous for his operas and concertos, the baroque composer and keyboard virtuoso, George Handel spent most of his career in England though born in German on this date in 1685. Wyatt tries to get a handle on Handel while Gavin composes himself underneath the composer’s keyboard. You are invited to join John and some jazz and R&B keyboard artists for a birthday tribute to George Handel on Crosscurrents, 2/23 at 8 a.m.